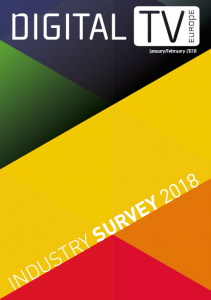 Digital TV Europe’s third annual survey reveals what top industry executives think about the most pressing issues facing the digital video distribution business. This year, the central focus is on the impact of cloud technology and the challenges facing pay TV operators in the face of ongoing fragmentation of the business and the emergence of major internet players. Over 500 industry executives from 56 countries responded to our call to share their views on a range of seven topic areas this year. In addition to summarising and analysing views on the overall digital TV landscape, including prospects for pay TV and the forces driving change, we drilled down into six other areas: cloud technology and the economics of video; OTT TV distribution; the livestreaming revolution; the cloud, data and security; the multiscreen video experience; and multiscreen distribution and service provider WiFi.